Description Come see this 2016 Ram 1500 Tradesman. Its Automatic transmission and Intercooled Turbo Diesel V-6 3.0 L/182 engine will keep you going. 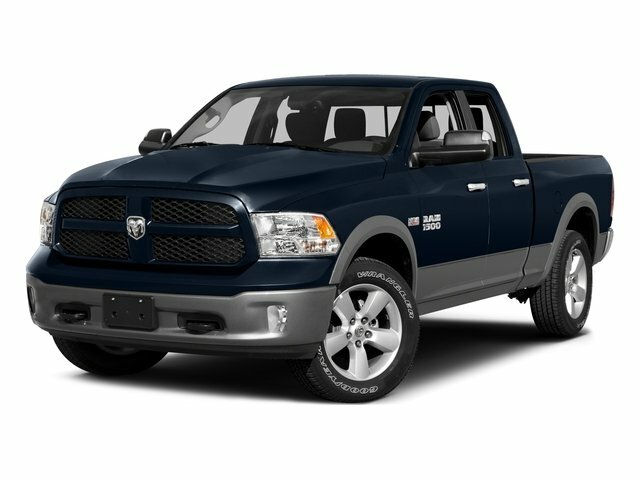 This Ram 1500 has the following options: Part-Time Four-Wheel Drive, TRANSMISSION: 8-SPEED AUTO (8HP70), TRAILER TOW MIRRORS & BRAKE GROUP -inc: Power Black Trailer Tow Mirrors, Trailer Tow Mirrors, Exterior Mirrors Courtesy Lamps, Exterior Mirrors w/Supplemental Signals, Trailer Brake Control, TRAILER BRAKE CONTROL, TIRES: P265/70R17 BSW AS (STD), REMOTE KEYLESS ENTRY W/ALL-SECURE, RADIO: UCONNECT 5.0 -inc: 5.0" Touchscreen Display, Overhead Console, GPS Antenna Input, Rear View Mirror w/Microphone, Temperature & Compass Gauge, Integrated Voice Command w/Bluetooth, Charge Only Remote USB Port, QUICK ORDER PACKAGE 28B TRADESMAN -inc: Engine: 3.0L V6 Turbo Diesel, Transmission: 8-Speed Auto (8HP70), Tradesman Package, PROTECTION GROUP -inc: Transfer Case Skid Plate Shield, Front Suspension Skid Plate, Tow Hooks, and POWER BLACK TRAILER TOW MIRRORS -inc: Trailer Tow Mirrors, Exterior Mirrors Courtesy Lamps, Exterior Mirrors w/Supplemental Signals.